Now, his wisdom is presented in bite-sized portions for quick doses of productive inspiration. 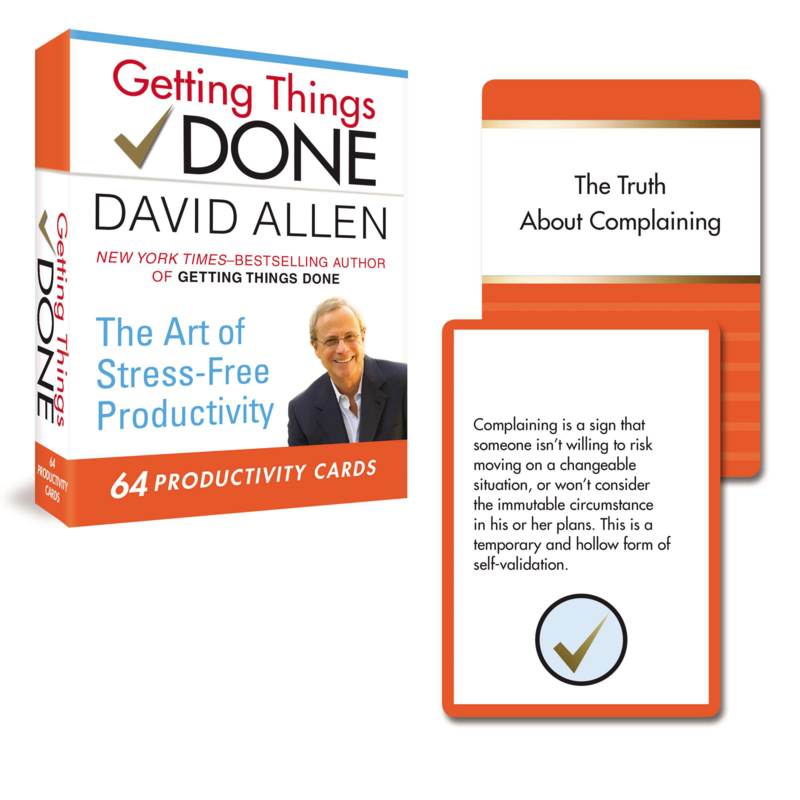 In his seminal self-help productivity guide, Getting Things Done, veteran coach, management consultant, and “personal productivity guru” David Allen first introduced his breakthrough methods for stress-free performance that he has shared with over a million people around the world. Now, his wisdom is presented in bite-sized portions for quick doses of productive inspiration. David Allen is president of The David Allen Company and has more than 20 years of experience as a consultant and executive coach for such organizations as Microsoft, the Ford Foundation, L.L.Bean, and the World Bank. His work has been featured in Fast Company; Fortune; Atlantic Monthly; O, The Oprah Magazine; and many other publications.